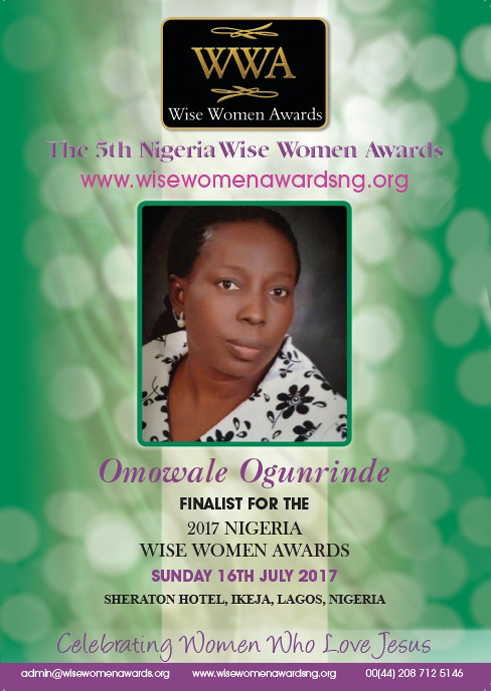 Omowale formally founded the Foundation for Skills Development in 2003 and the value of her work with women in MSME has earned her several local and international awards. The training facility which she started in 2003, is now registered as Field of Skills and Dreams VTE Academy and now occupies its permanent location with training in eleven skill areas which include Electrical Installations, Fashion Designing, Carpentry, Catering, amongst others. Her work has effectively trained over 6000 women and youths with verifiable records, measurable successes and majority have set up businesses in different parts of Nigeria. Her work has been effective in the transformation of lives and helping the unemployed to discover their strengths and skills. With annexes in Enugu, Abuja, Calabar, Ibadan and a purpose built headquarters in Lagos, FSD has received many local and international accolades for its efficacy in transforming lives through its economic empowerment training programs. Omowale is a mentor and trainer at many training and development programs during which she uses the success stories of FSD alumni to encourage other women.